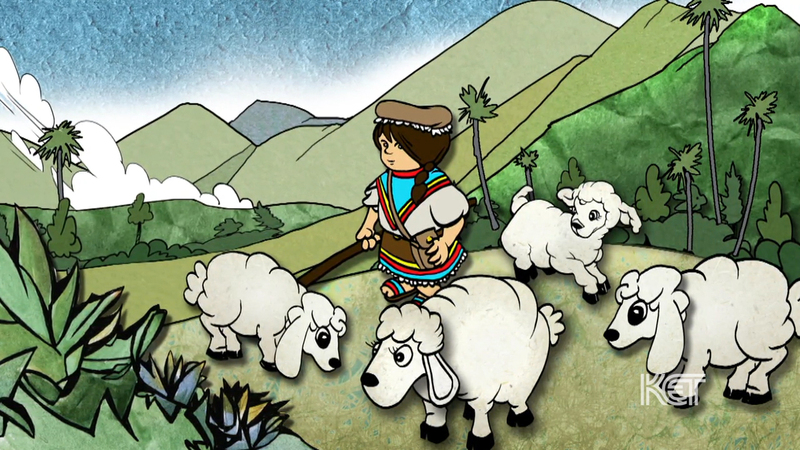 This video features the Colombian story Pastorcita in both English and Spanish. Pastorcita has many elements that are similar to “Little Bo Peep.” Pastoricta is a shepherd girl who has lost her sheep. When she does find them, they are missing their tails. After searching, she finds their tails and sews them back on with thread and honey.